Welcome back for the 4th part of our Getting Started series! Today we are going to solve the challenges set forth in Part 3. If you want to start where we left off, grab the the project here. We will go through each of the challenges we asked you to try out. There may be multiple ways to solve these, but this post will go through our thought process. All we do here is call the function we just wrote every time the user hits stop. Build and run the app and see how it works! Notice that we use a temporary value in the conditional. We need to do this so that we have only one return statement. This problem takes a little bit more and introduces us to the NSDate class. We want to keep track of the total time, so we need to store the real time when we hit start, and then calculate the currentTimeInSeconds based on the difference and whatever time was on the clock when we hit start. We will use the timeIntervalSince1970 method provided with the NSDate class to solve this problem. We store the _startTimeSince1970InSeconds only when the timer is not running, this way the time doesn't change if the user taps the start button while the stopwatch is running. We also initialize _stopwatchStartTime to 0 when we first start. You will now want to go make a similar modification in resetButtonPressed as well as reseting _startTimeSince1970InSeconds when reset is tapped while the stopwatch is running. Now we need to store the time in stopwatchStartTime whenever our user taps the stop button. Go make that modification in stopButtonPressed. Notice that we introduced a new variable so we could cast the float that results from timeIntervalSince1970 as an integer so we can conform with how we defined _currentTimeInSeconds. Build and run your app and see how it works! You a Better Stopwatch and can use the NSDate class! What's Next? Thank you for following our walk-through! Hopefully you found it helpful. 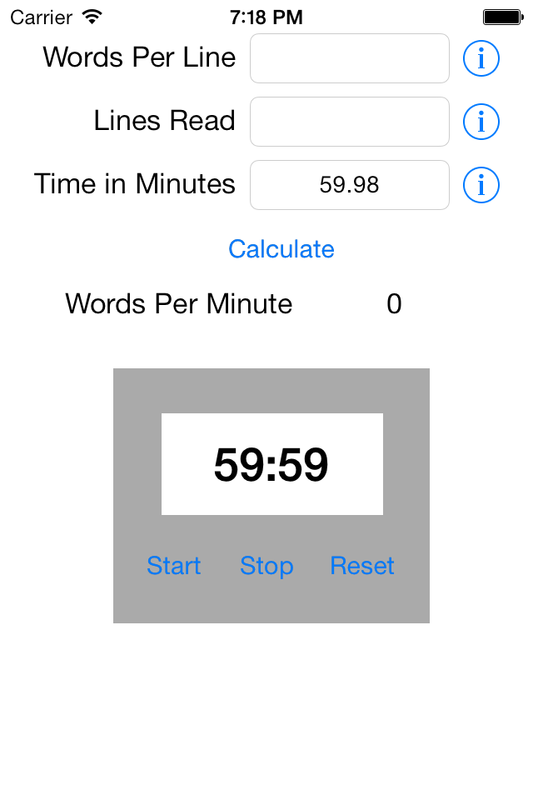 In Part 5 we will be continuing to work on our reading rate app. We still have some work to do before it is a full experience. We're launching 5 beginner courses and 6 advanced topics in the fall and spring. Pre-order the courses today and get an 80% discount.